We may be middle aged, but we don't need a spreading middle! Be a better you and control those measurements! We all know the answer - calories in must be less than calories out. Simple. You can do it. Tracking measurements provides a much better picture of weight control than the scale. The scale varies tremendously throughout the day and week depending on so many factors. 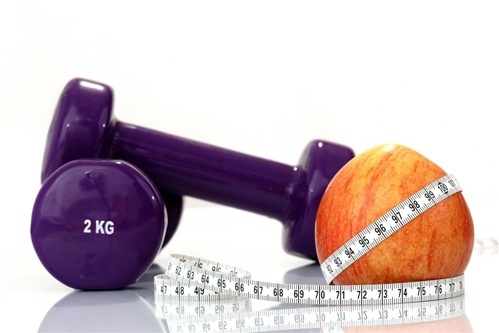 Measurements will reflect weight loss before the scale ever does, especially if you are weight lifting. Muscle is being built and toning the body (smaller measurements), but the scale might not indicate that change for several days or even weeks. This can be very discouraging. Watch the measurements instead. Add up all the measurements. (The chart will do it for you.) Once a month (ok, once a week if you are truly working out and watching what you eat) retake the measurements and total them. The total is what counts. Depending on your body type and exercise program, your thighs might reflect tone before your hips. The total of all the measurements will show you are getting fit and smaller and this is GREAT NEWS!! Use that decreasing number to stay motivated. For more ideas and tips for a healthier lifestyle, sign up for our FREE ANR Health newsletter located on the left hand side of your screen!